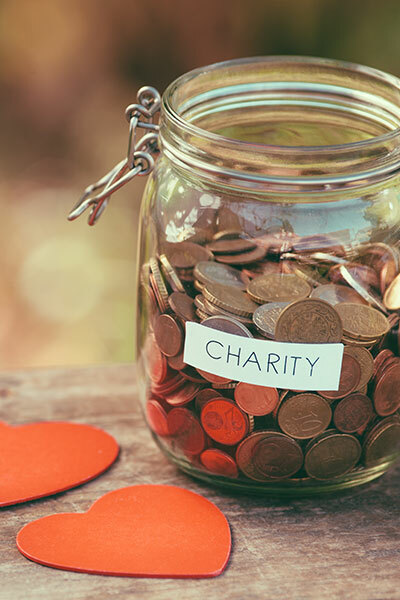 Our insurance is especially designed for registered and recognised charities, organisations holding charitable status, charitable incorporated organisations (CIO), community interest companies (CIC), voluntary, not-for-profit organisations and social enterprises with an annual income or turnover of less than £250,000. that cover is only provided for your activities in England, Wales, Scotland, Northern Ireland, the Channel Islands or the Isle of Man. Please read our Policy Brochure for further information. If you require wider cover please refer to your insurance advisor who will be able to arrange a quotation under our Charity & Community Connect policy. Cover under the policy applies within the United Kingdom, Channel Islands and the Isle of Man only. Please note that cover for any activities in the Republic of Ireland are NOT included. repeated or continuing threatening, abusive or insulting words or behaviour. These activities do not need to be selected unless this is your only activity the organisation does. When you start typing, a list will appear from which you can select an activity. Where the charity is tax exempt under Section 505 Income and Corporation Taxes Act 1988. This should be the full legal title including, where appropriate, the Committee/Trustees for the Time Being etc. only use proprietary sharps bins/boxes to place any needles or syringes which are to be given to and emptied only by the local authority or contract clinical waste services. Cover is provided subject to the following additional exclusions as detailed in our activity endorsement 216.
welding or heat application equipment. We mean providing people with assistance with cleaning, cooking, companionship, ironing, letter writing, reading, shopping, visiting (including taking person out) and walking. Also commonly know as 'Employer PAYE Reference'. The ERN is on all mandatory documents such as P45, P60, P11/D and most payslips. The standard format is ###/**###### (where # is numeric and * is alpha). We will cover an outdoor firework and/or bonfire event, organised and run by you, not exceeding an attendance of 100 persons. Cover is subject to compliance with our special requirement (please see side panel for details). The first figure relates to the benefit for death or permanent disablement, whilst the second figure relates to the weekly benefit for temporary total disablement. Please select the option required in respect of the benefits required. The first figure relates to the benefit for death or permanent disablement, whilst the second figure relates to the weekly benefit for temporary total disablement. If you currently hold Professional Indemnity insurance we can provide cover for incidents which lead to a claim that occur prior to inception of this policy up to a maximum of three years. This will only apply if you have held Professional Indemnity insurance continuously for the three years prior to inception of this policy. You may be required to provide proof of your previous cover in the event of a claim. If you currently hold Trustees and Directors Indemnity insurance we can provide cover for incidents which lead to a claim that occur prior to inception of this policy up to a maximum of three years. This will only apply if you have held Trustees and Directors Indemnity insurance continuously for the three years prior to inception of this policy. If you have no paid employees then please enter '0'. If you pay wages or make payments to labour only sub-contractors then it is a legal requirement for you to have employers liability cover.